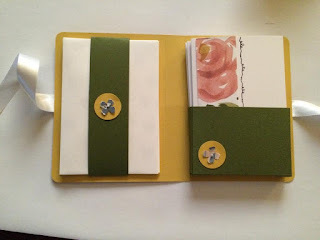 CraftyCarolineCreates: Inspiring others and I am back! Regular readers of my blog will have noticed that posts have been a little sparse over the last week or so. Really sorry about that - I've been on holiday for nearly three weeks (lucky me I know), and while I tried to schedule as many posts as possible, I just couldn't get far enough ahead. We got home on Saturday and it was lovely to get a few hours in my craft room yesterday. 3 weeks with no crafting is a long time! I'm brimming with new ideas and I can't wait to convert them into reality and share them with you. And while I love sharing my ideas with you, I also love it when you share your versions of my creations with me. 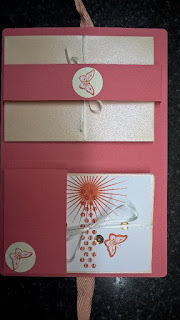 These two versions of my Butterfly Splats card gift set, were recently shared with me by the lovely and talented Dale Morin and Margaret Moore. You can view my original video below. Thank you for the great video ! I will try to find the dimensions on your blog.